UCLB has a long and successful track record in creating some of the most successful spin-out businesses in key new industries. From discovery disclosure through to contractual advice and formalisation, and on to incubation support, our services cover the entire process, end-to-end. Explore the links in this section to learn more about current spin-outs and subsidiary companies. Abcodia Ltd is a biomarker company focussing on the validation of molecular biomarkers for disease diagnosis and personalised medicine. At the heart of the company is a unique biobank, the UK Collaborative Trial of Ovarian Cancer Screening (UKCTOCS) founded in 2001 and led by clinical scientists at UCL. UKCTOCS is the world’s largest prospective study for ovarian cancer diagnosis and will result in the generation of a collection of more than 5 million high quality serum aliquots (UKCTOCS sample bank), associated with clinical demographic and age-related disease phenotypic data from over 200,000 women across the UK. A wide range of diseases are now recorded across this aging cohort, making it amenable to the discovery of biomarkers and screening diagnostics for several therapeutic areas. Established in 1998, ADT is a joint venture company with Ebara Corporation of Japan to commercialise turbo-design software developed by Professor Mehrdad Zangeneh at UCL. The company has become a global leader, with clients representing some of the leading companies in the aerospace, automotive, power generation and marine fields. A European biotechnology company, Ark Therapeutics was established in July 1997 by Professor John Martin, Mr Stephen Barker and Professor Seppo Yla-Herttuala. Its Finnish arm, Ark Therapeutics Oy, was acquired in 2001. The company has a broad range of products in late stage clinical development. The therapeutic focus is on clear unmet clinical needs within the high value specialist medical areas of vascular disease and cancer. Ark successfully floated on the London Stock Exchange in March 2004. Arrow Therapeutics is a London-based pharmaceutical company focussed exclusively on research and development of novel antiviral drugs. The company has developed a broad pipeline of early and late stage projects at various stages between early research and clinical development. Their in-house research has resulted in compounds active against Hepatitis C and Respiratory Syncytial Virus. The leading RSV compound is currently in a phase II clinical trial and was the cornerstone of a deal with Novartis to develop and commercialise the small molecule inhibitor RSV604 (previously known as A-60444) for the treatment of Respiratory Syncytial Virus. Further breakthroughs have lead to their acquisition by AstraZeneca, for circa $150m cash. As-Built Solutions Ltd was founded in 1993 by academics from the Department of Geomatic Engineering to commercialise the Hazmap system, an automated approach to the compilation of process plant survey information. ABSL delivers solutions that have a proven track record for companies such as BP, BNFL and the Metropolitan Police. Formed in 1999, Biovex is a private biotech company, based near Oxford, developing a new class of potent vaccines to treat and prevent cancer and certain viral diseases. The company has two vaccine platforms; OncoVEX and ImmunoVEX, and a functional genomics platform for gene target validation in neurons and other tissues (NeuroVEX). The Company`s lead product has completed Phase I clinical trials with Phase II studies in melanoma, breast cancer and head and neck cancer begun in October 2006. UCLB are delighted to announce that US biotechnology giant Amgen acquired Biovex in February 2011. Bloomsbury DSP Ltd is a spinout company founded from UCL’s Department of Electronic and Electrical Engineering. The company has developed an innovative acoustic based approach to underwater imaging that generates accurately geo-referenced sea-bed images with significantly enhanced range and resolution compared to existing side-scan sonar approaches. With applications for the military as well as for oil and gas markets, the company is currently supplying solutions to clients from major UK and international organisations including NATO. Founded in 2005, Canbex is a developer of active compounds in the field of spasticity and pain. The company develops peripherally-acting cannabinoid antagonists for the treatment of multiple sclerosis (MS) and other neurodegenerative diseases. Canbex Therapeutics is a joint investment collaboration with BBSF (Bloomsbury Bio-Seed Fund) and the recipient of a Wellcome translation award. The company portfolio includes two different series of compounds that have been extensively characterised in MS models. The company is a licensing vehicle for this breakthrough technology and research work is being carried on this project at UCL, Queen Mary’s and Cambridge Universities. The company is managed and supported by UCL Business’ management team. Domainex was established by scientists from the Institute of Cancer Research, University College London and Birkbeck College, with seed funding from the Bloomsbury BioSeed Fund. The company works on cutting edge science to create fragments of protein molecules encoded by cancer causing genes, or those involved in viral infections which can then be targeted for drug development. The technology developed by Domainex will greatly assist the study of the 3D structures of protein molecules involved in cancer and viral infection. This will provide a greater understanding as to how these proteins work and lead to the identification of new therapeutic drugs. Endomagnetics Ltd is a medical device company arising from the London Centre for Nanotechnology at UCL and the University of Houston. The company’s first product (SentimagTM) offers a highly sensitive hand-held magnetic sensing device which can accurately detect low concentrations of clinically introduced nanoparticles. The initial application for the device will be as an intra-operative medical device for sentinel node detection in breast cancer. Other potential applications are in cardiovascular disease, melanoma detection and in the non-destructive testing of materials. EuroTempest Ltd is a venture established by Benfield, Royal & SunAlliance and UCL Business in the area of quantitative weather risk services. The company’s web-based service is recognised as providing the most advanced real-time 5 day forecasts of weather risk across Europe. EuroTempest’s services are targeted at companies who may have financial exposure due to extreme and un-seasonal weather such as the insurance and re-insurance industry. Evexar Medical Limited is a medical device manufacturing company focussed on the development, manufacture and distribution of innovative medical devices. These devices have been specifically designed for the ultimate benefit of patients with a broad range of surgical conditions. The company was founded in 2006 and has built a strong portfolio of products across two Surgical divisions; Hernia and General Surgical and one Retail and Consumer division and is fully ISO 9001 and ISO 13485 accredited . focussing on medical devices for hernia and vascular surgery. Inpharmatica specialises in the use of predictive informatics in biology, medicinal chemistry and ADME to improve the speed and productivity of drug discovery. The key elements of Inpharmatica`s business are: Chematica(TM) – a powerful proprietary chemogenomics approach to drug discovery, which draws on Inpharmatica’s vast drug discovery-relevant databases and expertise, and Admensa(TM)– a unique combination of ADME optimisation expertise, proprietary in silico tools, laboratory services and consulting, to enable early selection of compounds with an optimal balance of properties. 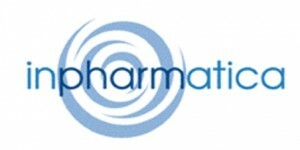 On December 6, 2006, Galapagos NV (Euronext & London AIM: GLPG), an integrated drug discovery company, acquired Inpharmatica in an all-share transaction valued at 12.5M Euro, for details see www.glpg.com. Inpharmatica now trades as part of Galapagos` BioFocus DPI subsidiary. Founded by Professor Derek Hill and Professor David Hawkes from the Centre for Medical Image Computing in conjunction with colleagues at Imperial College, Ixico provides image analysis services to the pharmaceutical industry. By coupling image analysis technology with expertise in image acquisition, the company is able to provide automated, scalable and authoritative information extraction solutions. Ixico will improve the quality and effectiveness of therapeutic interventions, both under development and in clinical use, through an automated service to extract relevant clinical information from images. Pentraxin Therapeutics Ltd is a UCL spin out company formed in 2001. It holds all the intellectual property and proprietary knowledge emanating from Professor Mark Pepys’ research at UCL. Pentraxin Therapeutics Ltd is concerned with the research and development of drugs for the treatment of amyloidosis and amyloid-related diseases such as Alzheimer’s disease and type II diabetes, as well as targeting the pathogenic effects of C-reactive protein in cardiovascular disease and inflammatory diseases. PolyMASC’s patented pegylation and liposomes technologies helped them to be the first university spin out company to float on the London Alternative Investment Market in 1995. The company merged with Valentis Inc. in 2000. In July 2007, Urigen Pharmaceuticals Inc completed a reverse merger with Valentis Inc, Urigen Pharmaceuticals is a speciality pharmaceutical company dedicated to the development and commercialisation of therapeutic products for urological disorders. Quantemol is the result of collaboration between the Department of Physics and Astronomy and the Department of Computer Science. The company has developed a unique software tool that brings full accessibility to the highly sophisticated UK molecular R-matrix code, which is used to model electron polyatomic molecule interactions. The software has found application in academia and industry enabling technologists to calculate electron-molecule interactions more efficiently, safely, reliably, accurately and cost-effectively than through practical experimentation. Satalia is a spin-out company from UCL’s Department of Computer Science that is changing the way in which complex optimisation problems are solved. Satalia solves problems in industries ranging from Aerospace, Defence, Security, Semiconductors, Internet and Bioinformatics that can today benefit from improved solving power within their existing business tools. Satalia’s core technology is its ‘SolveEngine’ which currently specializes in solving SAT, SMT and CSP optimization problems. The SolveEngine is an automated pipeline that includes state-of-the-art proprietary techniques in problem encoding, preprocessing, algorithms, machine learning and compute management, all running on a public or private cloud. Senceive Ltd was spun out from the Department of Electronic and Electrical Engineering to commercialise an innovative approach to the problem of monitoring distributed industrial environments such as railway infrastructures and underground mines. By utilising a number of small, intelligent devices that communicate through meshed radio networks, the company offers an autonomous solution that is easy for non-experts to install, maintain and use. Founded in 1990 from UCL’s Bartlett School of Architecture, Space Syntax Limited offers a specialist consulting service in the design and evaluation of urban areas and building interiors, based on the principle that movement and communication are essential to the social and economic success of public and private space. This evidence-based approach to property and design consulting provides clients with clear advice and creative solutions. A London based biotech company pioneering the discovery and development of a unique class of low molecular weight sequence-specific DNA-interactive drugs designed to treat gene-mediated diseases. The company is commercialising a platform technology capable of discovering lead compounds that target any gene sequence. The therapeutic potential is in a broad range of diseases and physiological processes. Stanmore Implants Worldwide Ltd is a rapidly-growing orthopaedic company, focused on saving and restoring the function of limbs and joints. The company is a world-leader in limb salvage (complex reconstructions of long bone and joints lost to conditions such as bone tumour), patient-specific implants, and complex joint replacements based on more than 50 years experience, providing specialist implants to surgeons and patients since 1949. Stanmore Implants designs, manufactures and markets to more than 20 countries and is developing a technological breakthrough, called ITAP, which could revolutionise the way artificial limbs are attached to the body. The company is located at the world-renowned Royal National Orthopaedic Hospital at Stanmore and collaborates closely with the University College London Centre for Biomedical Engineering. In 2008 Stanmore Implants Worldwide was acquired by a syndicate led by MDY Healthcare and Abingworth Management. At UCLB we have the expertise and infrastructure to take an inventor’s idea from concept to market. Led by our Director of Projects, UCLB Devices Ltd comprises a team of external consultants and key individuals within UCLB with expertise in IP, market research, industrial design, GMP/GLP, regulatory and manufacturing. 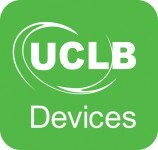 UCLB Devices Ltd will project-manage devices from concept to prototype design, through to CE marking and clinical evaluation including, where appropriate, manufacturing and distribution. Within UCLB Devices Ltd we believe that good ideas should become reality quickly and we are committed to help you do just that. Founded in 2003 from the Department of Electronic and Electrical Engineering in collaboration with the University of Cambridge, Zinwave aims to provide sub-systems and systems for distributing wireless signals, including those for applications such as cellular radio and WLAN in a flexible, future proof and low cost manner. Zinwave’s proprietary technology enables these applications to be serviced using low cost multi-mode fibres, giving rise to significant cost savings for system providers and installers.